I have been recently chatting by email to a few old friends of the band (spurred on by the interest created by this web site) and a large number of them seem to be located overseas. This made me remember a story we heard a few years ago about our manager's sister who was doing some charity work in Ethiopia and travelling through the country in the back of a truck with other charity workers when the conversation turned to favourite bands. 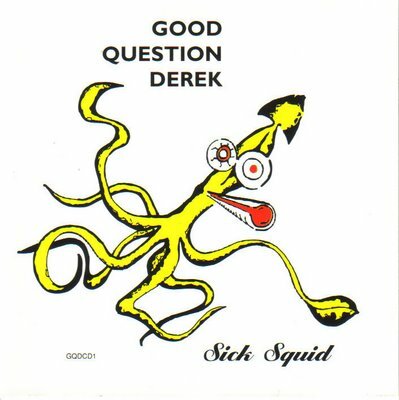 One the other workers said their fave bands included Good Question Derek to which the reply of course was "my brother manages them!" What a small world! If you don't already have a copy of the CD, simply click on the image here and print it out. Take a photo of the CD cover with a sign post or landmark clearly visible in the background. Email the picture to us by clicking here. 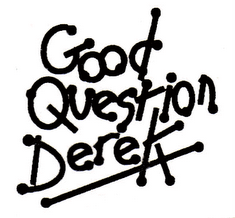 Don't forget to include a bit about how you know of Good Question Derek and where the photo was taken. Any images we will receive will be posted on this web site!